I’m fairly certain I’m not alone on this one. 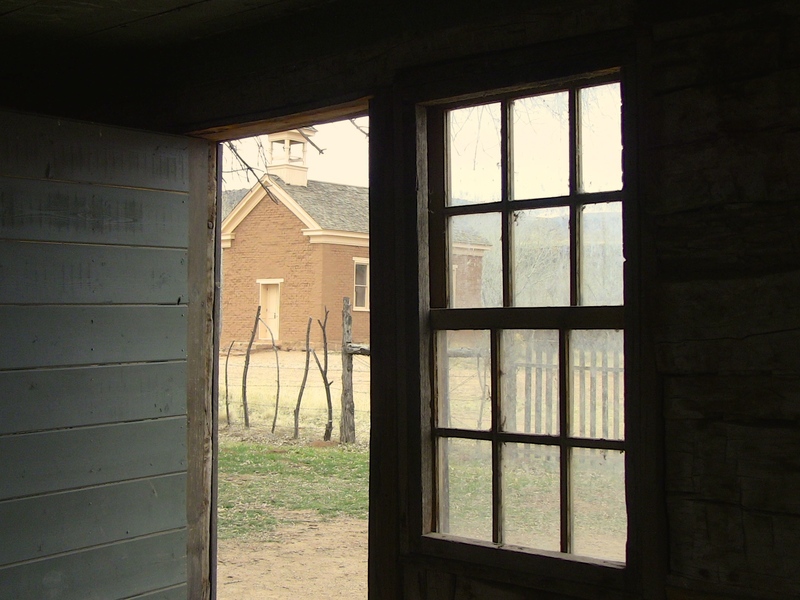 Given the number of websites, books, and photography galleries dedicated to the subject, it’s fair to say that ghost towns captivate a lot of us, and I’ve been wondering why. 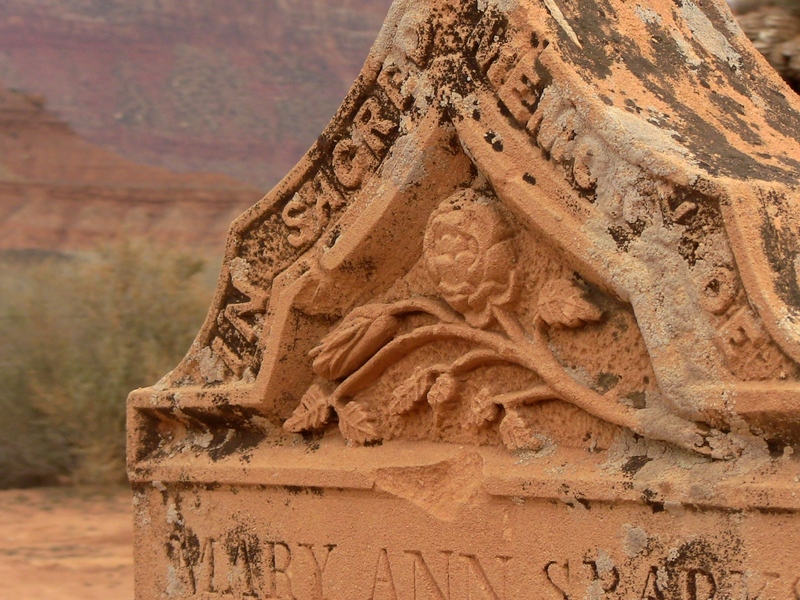 Last weekend, I visited two ghost towns in Washington County, UT, not far from St. George and Zion National Park. 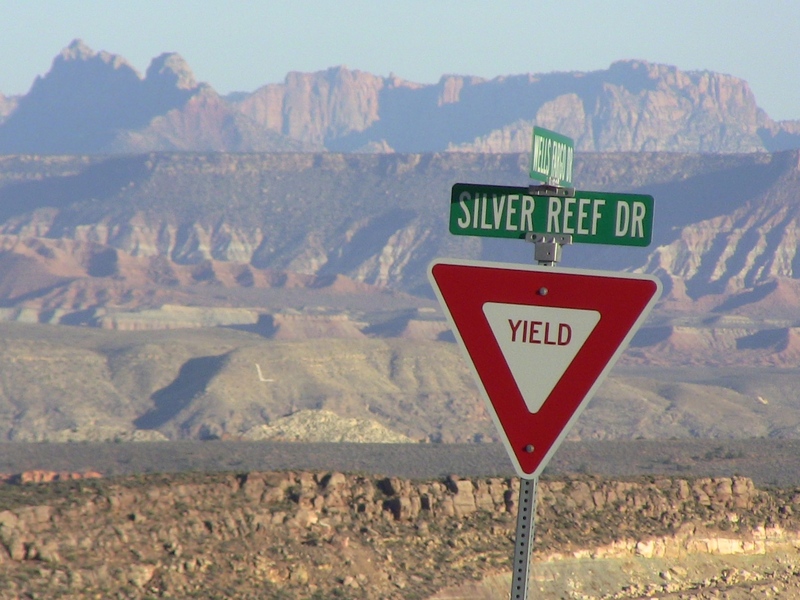 The first, Silver Reef, is just west of modern-day I-15, on a bench of pinion/juniper scrub amidst a sea of sandstone. Silver Reef’s sandstone harbored treasure, as John Kemple discovered in 1866 when he noticed veins of silver in the rock. Silver in sandstone is a rarity, and a fortunate one at that. Because it’s such a soft material, Southern Utah’s predominant rock type yields its ore fairly easily. In 1870, it was confirmed that the mineral could be extracted and that there was enough of it on site to justify a profitable operation. 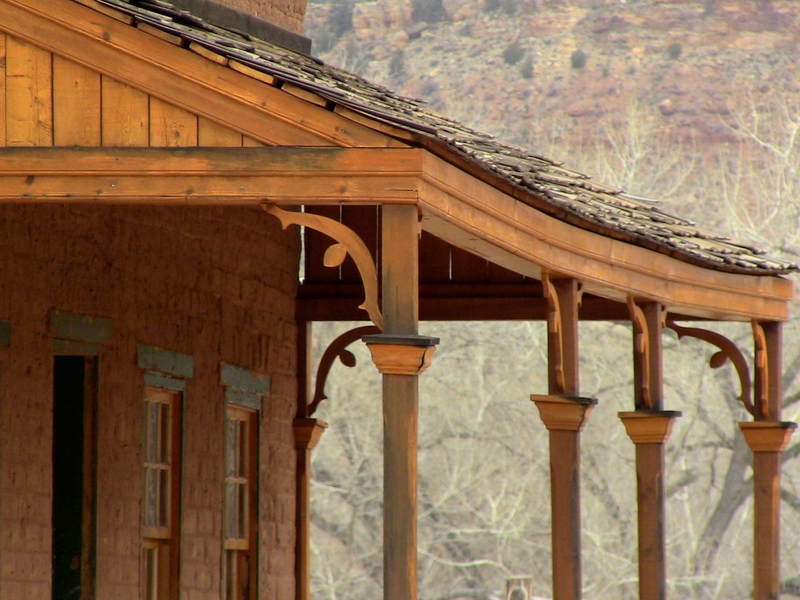 Silver Reef became a “boomtown,” and by 1879, the town’s population had grown to 2000 residents. Main Street was one mile long, and among the buildings that made up the downtown grid were six saloons, nine grocery stores, a brewery, a billiard hall, a Wells Fargo, a post office, an undertaker’s shop, a jail, a barbershop, a newspaper office, a Chinese laundry, and a Catholic Church (Interestingly, there was never a Mormon Ward House in Silver Reef. 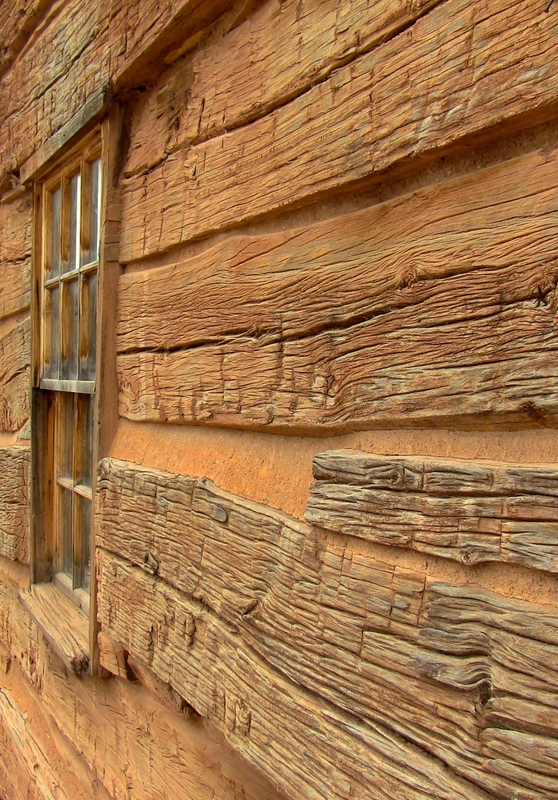 Although all the surrounding towns were LDS outposts, Silver Reef never had a significant Mormon population.) Between 1870 and 1891, the town produced over $10 million worth of silver ore, much of which was processed right in Silver Reef’s five local mills. Between 1881 and 1891, silver prices fell several times, precipitating decreased wages for the miners and, in turn, labor strikes. By 1891, all of the mines had closed, and the town was abandoned. 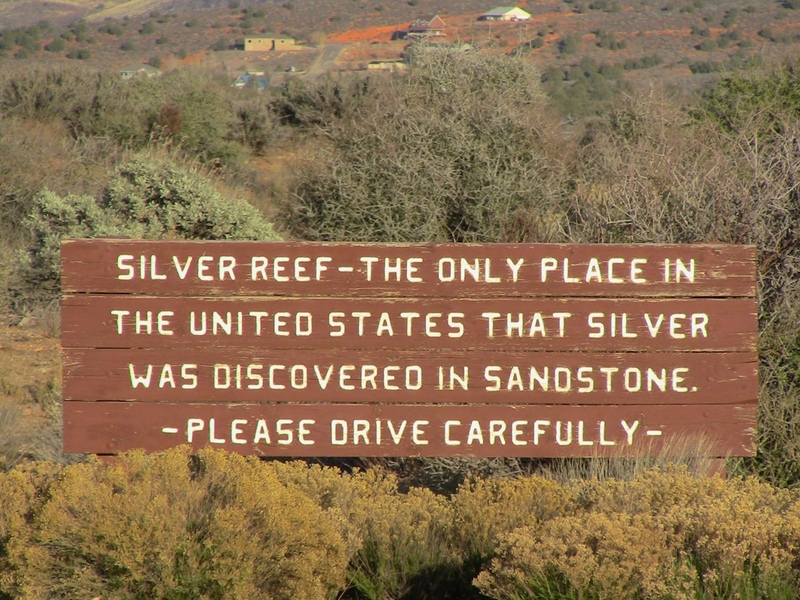 The life span of Silver Reef was 21 years. Down the road lies Grafton, UT, a town with a different cast of characters but ultimately a similar life history. Brigham Young had a vision of self-sufficiency for his Mormon colony in Utah, and in 1859, he sent settlers to the Virgin River plateau to farm cotton. We tend to think of cities and towns outlasting individual human lives. Not so with these villages, which were founded and abandoned in fewer years than the average person lives. 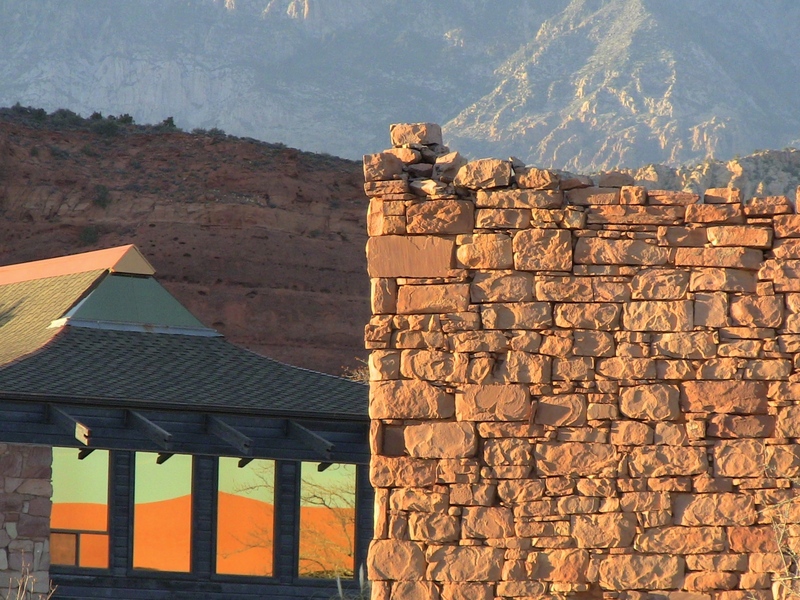 That seems crazy to me, since building a settlement – especially one with the number of buildings that Silver Reef boasted – is an enormous undertaking. We also consider cities and towns to be fixed, stable, and permanent. They’re marked on maps, after all, where could they possibly go? 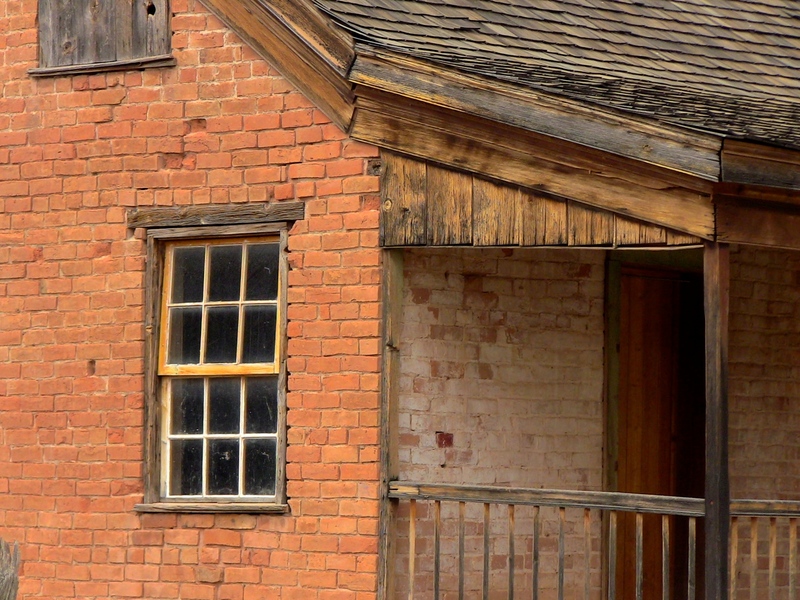 Yet only three buildings remain in Silver Reef, and five in Grafton. 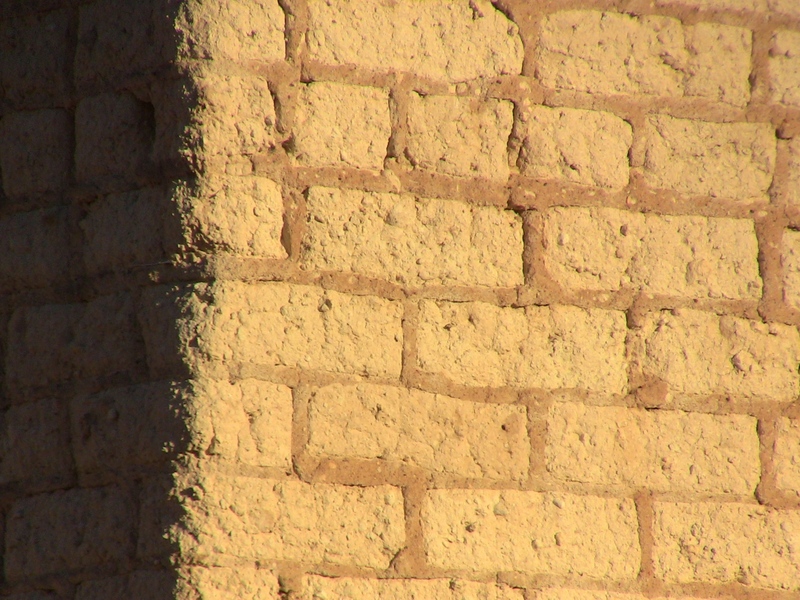 The only residual traces of the rest of the structures are a few adobe bricks, some low stone walls, and a smattering of metal “trash.” So much for permanence. Ephemerality stares you in the face in ghost towns. It beckons you to visualize what life might have been like walking down Main Street to get a drink at the saloon after a long day of work in the mine. It begs you to conjure up images of residents planting peach trees on the banks of the Virgin River and counting years until they might bear fruit. Most of all, it forces you to wonder what it would take for your town to look like this. How many steps are we, really, from ghost town status? Clearly we all ask this question. Based on the popularity of the Hunger Games books, Mad Max movies, and zombie shows, it’s fair to say that our culture is obsessed with the possibility of an apocalyptic future. With the trajectory drawn by many of our environmental and social decisions, it’s not an unwarranted obsession. Meanwhile, ghost towns provide us with a glimpse in our apocalyptic past. Demise is real, failure has happened. And, we – as a culture, if not as individuals – have survived it in these small doses. 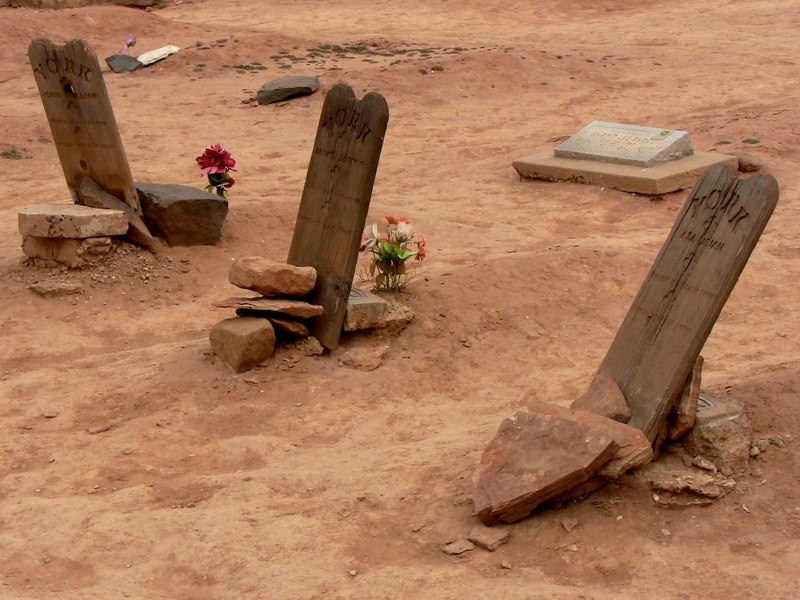 Maybe that’s the draw of ghost towns. These abandoned population centers are both harbingers of doom and kernels of optimism, all rolled up into one. And I suspect that is the mindset that most awake and aware people live with today – dread for what could happen, mixed with excitement for what might. And, yes, they also look cool.